Don't Leave out the Daddy! When someone announces that they are having a baby, one of the first things people do is run out and buy the Mother-to-be or baby a gift. 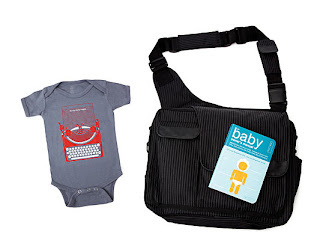 Not many people think about getting something for the Daddy-to-be. Some of the guys might get together and take the expectant dad out to get some drinks but that's bout it. How about buying the daddy a present also!! Baby showers are the perfect place to give the Daddy-to-be his present since the Mommy is already getting all of hers! Here are a few ideas that I have found. 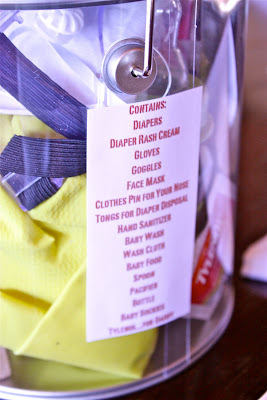 Or you can make this cute Bucket by yourself! because its his baby too. This is a wonderful idea! I can't wait to try it out, I'm defiantly waiting to hear that someone is pregnant now! I agree that the Daddy's-To-Be are always left out of the whole excitement of the new baby! 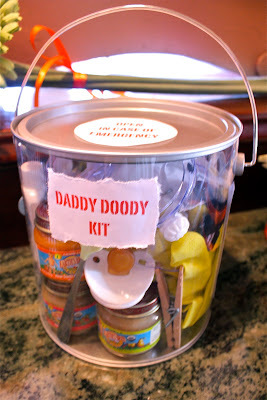 I bet my fiance would of loved to of gotten one of these little Daddy Kits! 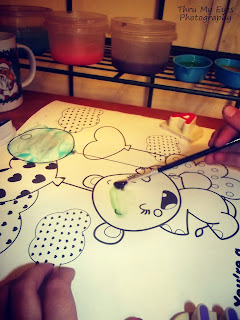 I may even make him one for the kids now...If I ever decided to have a Mommy's Night-Out! (I'll let you know what I come up with for that one!) 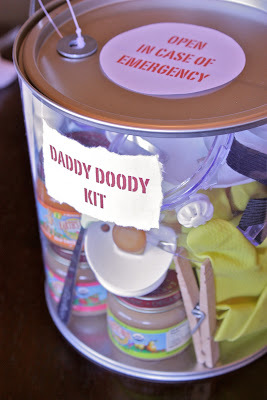 The Daddy Doody Kit is cute but I'm not to sure about adding the gloves, goggles, face-mask, or the tongs. Daddy's may not be perfect "moms" but most of them do know how to take care of their baby. I like the joke of the clothes pin though! I remember that some of those diapers do get super stinky! Let me know if you try this out! I would LOVE to see pictures! my keen eye for detail has picked up on a trend. the daddy to be always gets left out. unless its a co-ed shower...but in 9 out of 10 cases, its not. mommy to be gets showered with a lovely party, sentiments, gifts and delicious food. loading the car(s) up with the never ending pile of goods from babies r us. then unloading it all at the house, usually by himself. i wanted to create something fun so the awaiting father could be included! i usually have the dad to be arrive at the tail end of the shower while gifts are still being opened. then i hand them this. i purchased the clear paint pail at a craft store. i used an all cap font in red printed off my home printer. I used a large round hole punch to cut it out. its taped to the top with double sided foam dots. the paper around the words. i added a "contains:" list. 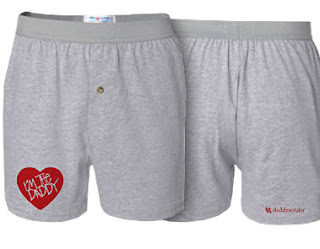 get creative and personalize it for the guy you are giving it to. pop the lid back on and its good to go! ..::I'm a stay at home mom who loves DIY projects, finding freebies and playing with my gurlie gurls. I have a secret obsession with anything history that not many people know about. I try to stay out of politics along with anything causing trouble but sometimes, randomly, find myself in the middle of some stupid argument::..
Make Your Own Shrunken Heads this Halloween! Halloween is right around the corner, creeping up on us slowly but surly. 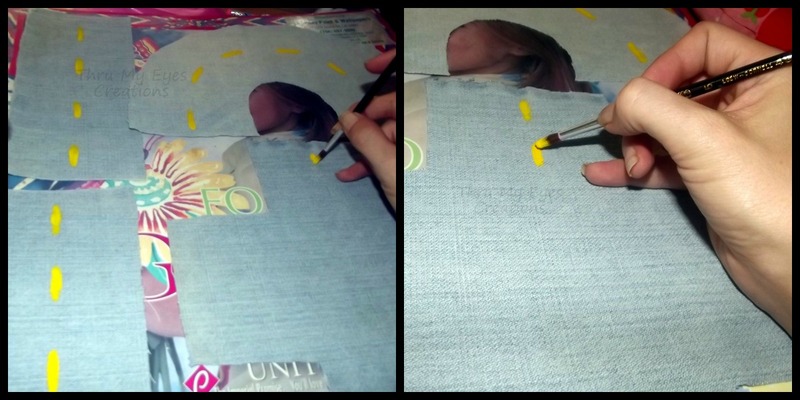 Last month I started searching for DIY Halloween ideas. Holidays can be so pricy if you let it. I do my best NOT to let it! So I have been searching for all kinds of ideas, like - Spooky decorations, Creepy Recipes and Costume Ideas! 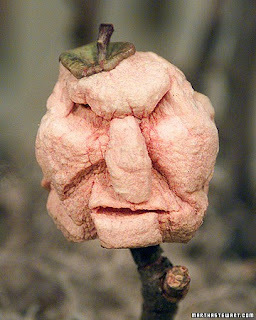 While I was searching I came across this really neat Shrunken Head How-To! I haven't tried it yet but I will defiantly be doing this with my kids next month. I believe my step-son, AJ, will LOVE this!! If you try it out, take pictures and let me know how it works! These shrunken heads are made from peeled, carved, and dried apples. They're as spooky as the scariest Halloween masks and I LOVE them!-- Thry can be lots of fun to make and can be a project for the whole family! You can transform an apple into a frightening lil' fruit. 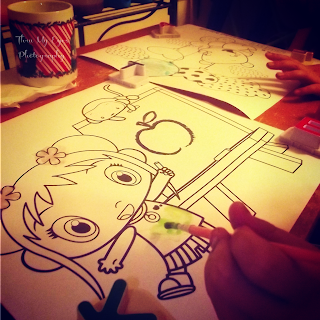 Any variety of apple will work, but Granny Smiths are perfect for this project due to their round shape. 1. Peel and core the apple. 2. 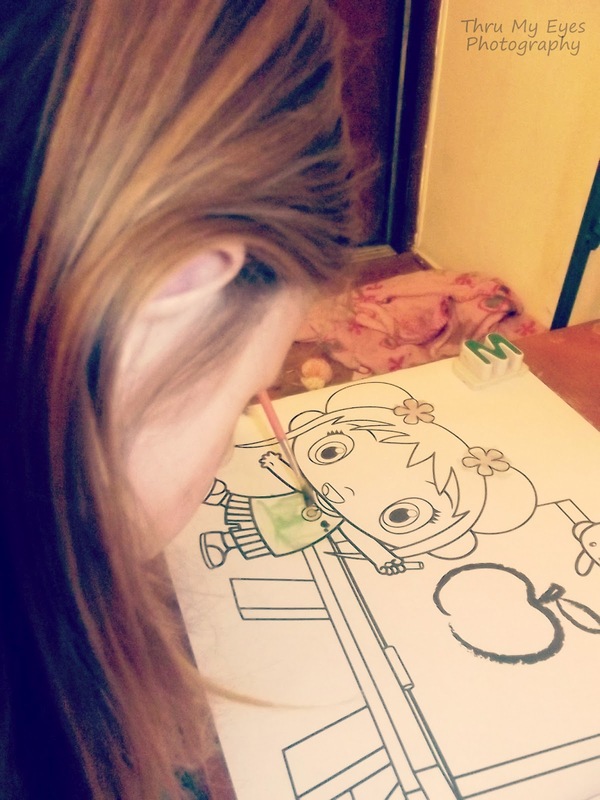 Using a pencil/marker, draw facial features onto the apple. Including: eyes, a nose, and a mouth. Be sure to draw the features large enough so they won't disappear once the apple shrinks. 3. Using the outlines as your guide, carve the apple to resemble a skull. 4. Combine lemon juice and salt in bowl. Soak the apple for 30 seconds and then dry. 5. Set the apple in a warm, dry spot. After several days, the apple will start to shrink, and the features will distort. 6. Insert a stick or branch into the bottom of the head and place it in a vase!! Perfect for Toddlers but Great for any age! 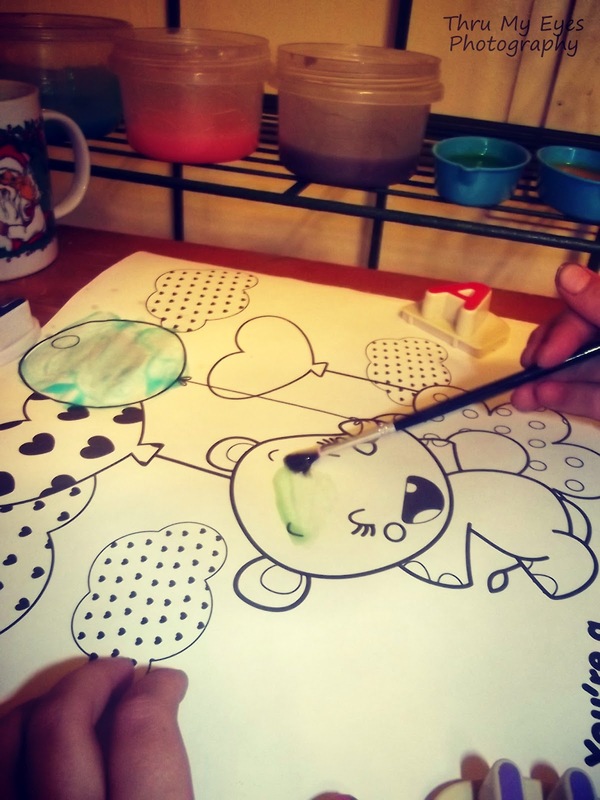 This Homemade Edible Paint can be used as finger paint or regular paint with a brush. It works great either way. It's also very good for toddlers since if they decide to taste the paint, it won't hurt them due to all the safe cooking ingredients. It's very simple to make and only takes about 10 minutes max! 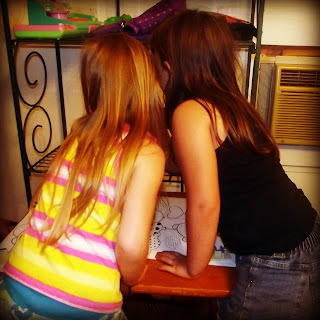 I made this for my daughters and they LOVED it. 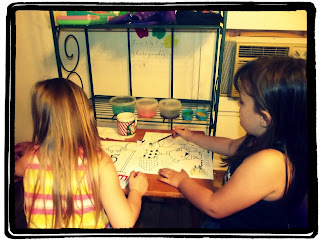 They had so much fun painting lots of pictures this afternoon before bed!! Here are the directions, I took a few pictures also!! 1. 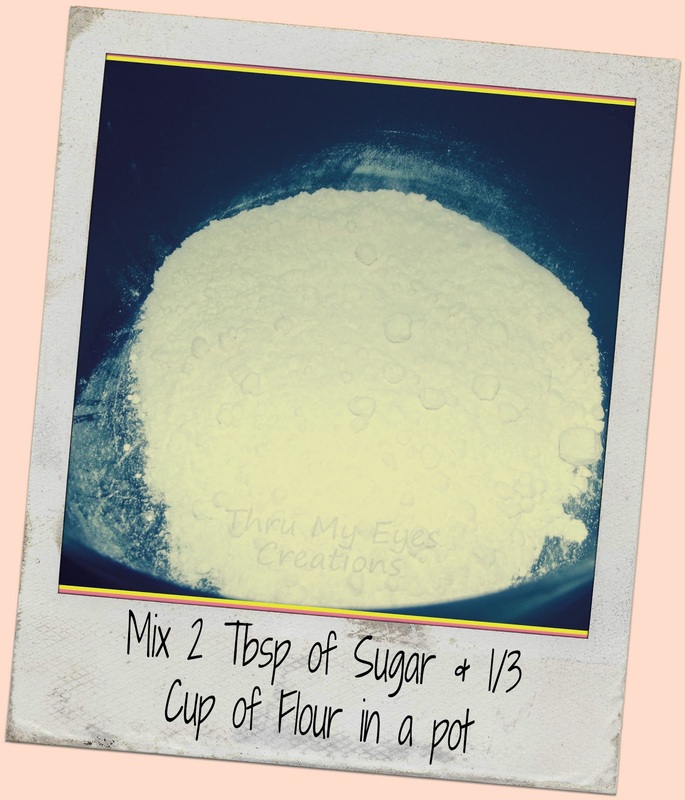 Mix 2 Table-Spoons of Sugar and 1/3 Cup of Flour in a pot. 2. 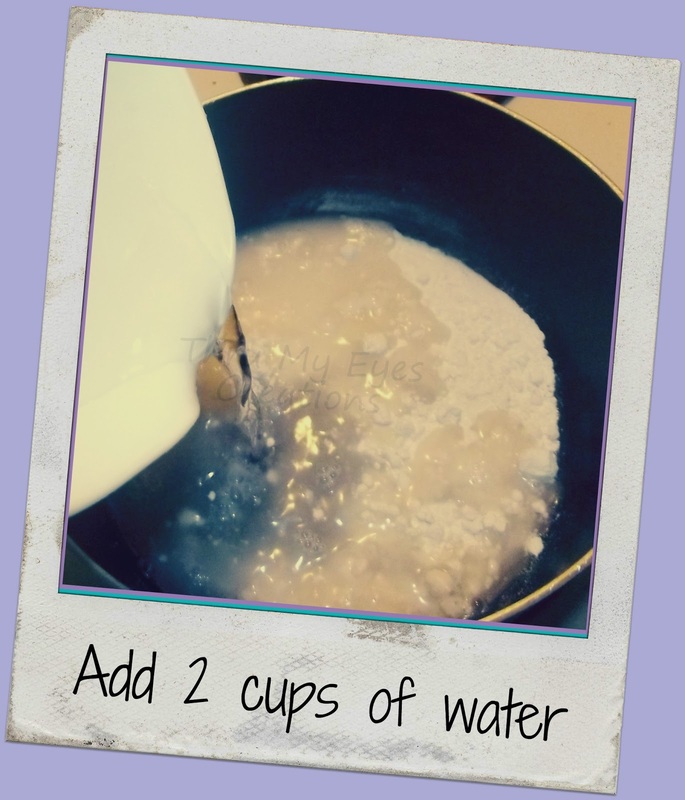 Add 2 Cups of water and Turn up the Heat. 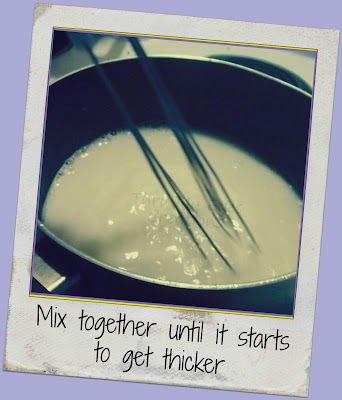 3.Mix together until it starts to get thick. 4. 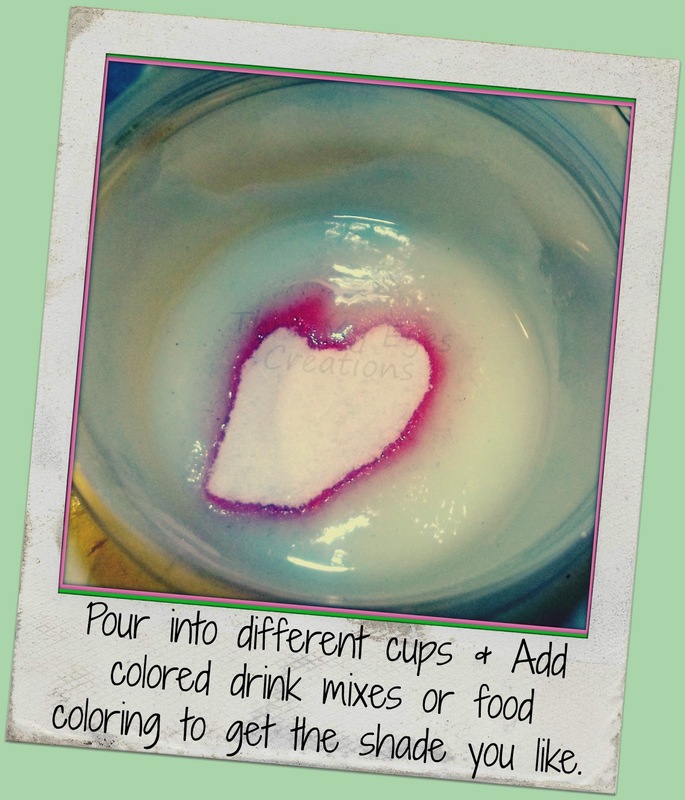 Pour into Different Cups and Add colored drink mixes or Food Coloring until you get the shade you like. View and Purchase the list of supplies with the button below! You can pick and choose the items you do and do not want to buy. Here are a few pictures of my girls having fun with their paint! I hope you enjoyed the step-by-step directions and pictures on how to make Edible Paint for Kids of All Ages. 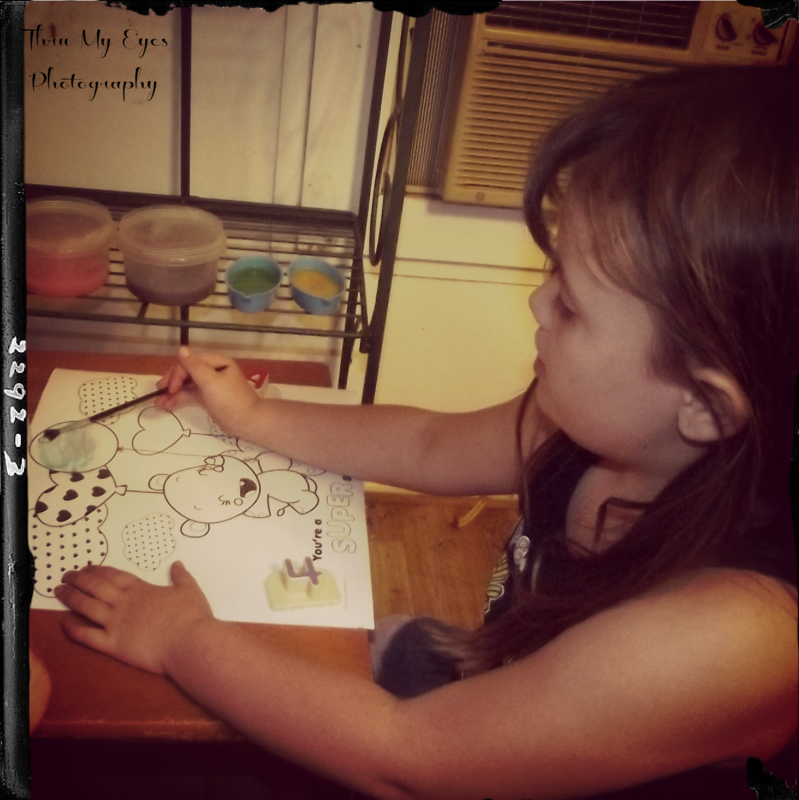 Interested in viewing more of the Crafts and DIY Projects on My Kind of Introduction? 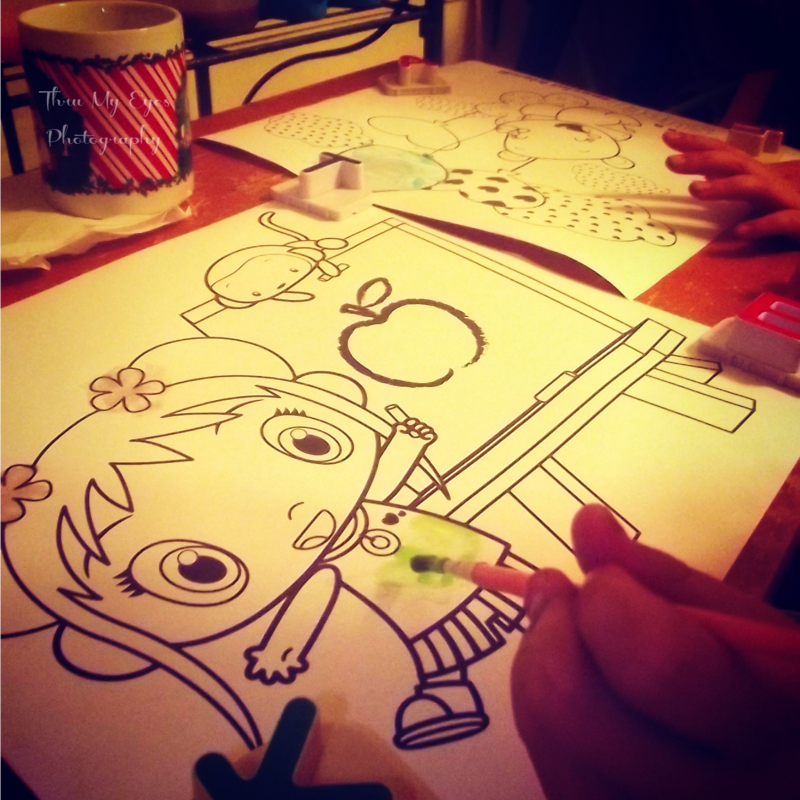 Visit the Crafts and DIY tap above, we have all kinds of cool activities and crafts to keep your kiddos busy for days!! It's pretty much a Carry-Along Toy Road in a Pocket! This is a simple toy that can be taken along on to friends houses, trips, etc. 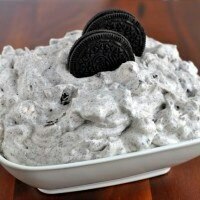 It's also very easy to make, boys are more likely to love it but girls will like it also!!! 3. Lay out the patterns on the fabric, try and cut the pieces as close together as you can so you can get more out of the space. 4. Trace the patterns onto the fabric, I use a regular pencil but you can use a fabric pencil if you have one. 8. If you like, You can paint the yellow lines on the pocket to match it to the roads. 9. 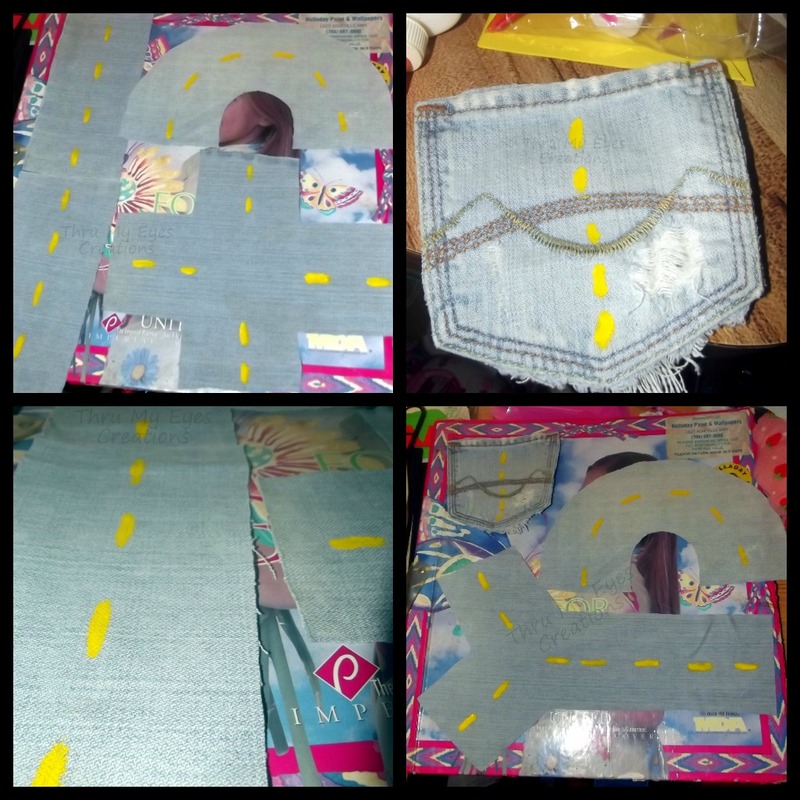 After the paint dries, you can fold up the road pieces and fit them inside the pocket! I got this idea off of pinterest.com and had to make one for my friends little boy! I hope you enjoyed the walk through steps. Enjoy!!!! 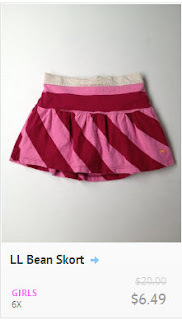 SAVE MONEY on Your Kid's Clothes! FREE SHIPPING CODE! This is Wonderful!!! If you don't do Freebies... You should REALLY do this one!!! You can get FREE clothes for your kids!!!!! When you Sign up you get a $10 credit. Once you Sign Up, all you got to do is find some clothes that are under $10! You can sign in Here!! Get FREE SHIPPING on your order!! 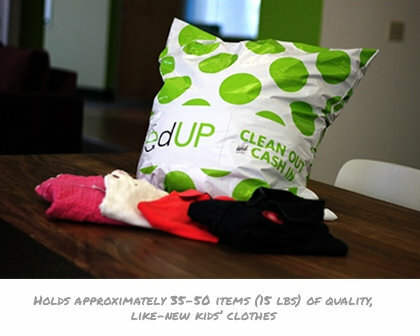 thredUP also pays you to recycle the clothing your child has outgrown and helps you shop for great clothes for cheap!! It turns into a consignment. 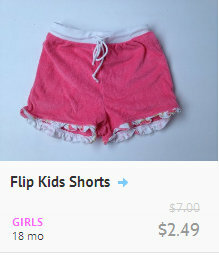 You can buy more clothes, along with sending more clothes that your child has grown out of! 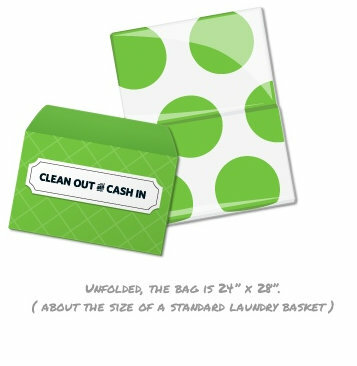 You can get a bag sent to you for FREE and then you fill it full of your kids clothes they have outgrown. thredUP pays you thru PayPal for every item they are able to re-sell!!! 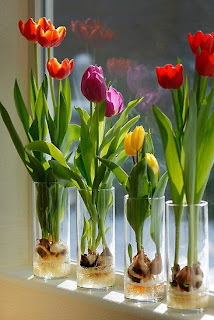 I was surfing the web and found this cool little trick on growing Tulips inside! It's actually very easy! Maybe even easier than growing them outside in your garden! Indoor Tulips . . . 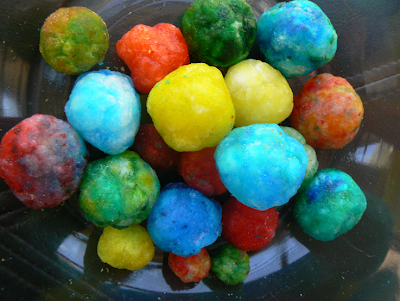 Step 1 - Fill a glass container about 1/3 of the way with glass marbles or decorative rocks. Clear glass will enable you to watch the roots develop . . . Step 2 - Set the tulip bulb on top of the marbles or stones; pointed end UP. Add a few more marbles or rocks so that the tulip bulb is surrounded but not covered (think support). . . Step 3 - Pour fresh water into the container. The water shouldn't touch the bulb, but it should be very close, so that the roots will grow! Check out FlowerAdvisor to put a smile on that Special Someone's face! Click HERE or the banner below! School started back last Thursday! I am happy to say that I am just about done with school shopping! We are only missing a couple things, which is an outfit or two. Compared to how bad I was ready last year.... We are doing great this time around. Even with another child starting school! To me, these balls look like the Bouncy Rock Balls you can buy for around $4 at stores but with a rainbow of colors instead of the gray color they normally come in and these are ALOT cheaper! 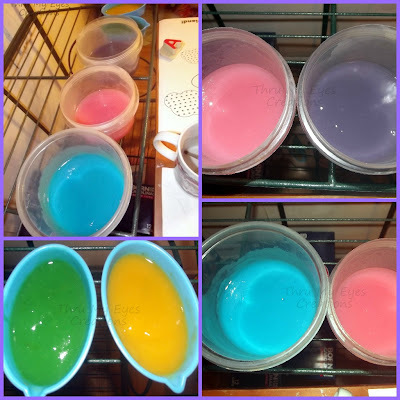 Katey from Having Fun at Home posted this wonderful recipe on her blog on how to make your very own bouncy rock balls at home for very cheap! 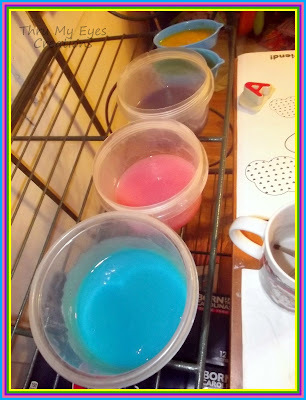 I'm going to try this with my daughters very soon....... as soon as I get to the store to buy some Borax and school glue!!! Pour 1 tablespoon of School glue into a small container and add 2 or 3 drops of food coloring and mix together. Add 1 teaspoon Borax and wait fifteen seconds. Mix with a craft stick or something similar, until it’s too thick to stir anymore. Knead and roll the dough into a ball with your hands. It'll be sticky at first, but will eventually turn rubbery and dry. These balls won't be perfectly round but that's what makes it more fun! They look like colored rocks and bounce a bit crazy! It's best if you make sure that nothing breakable is close by and that your young child does NOT eat the balls.